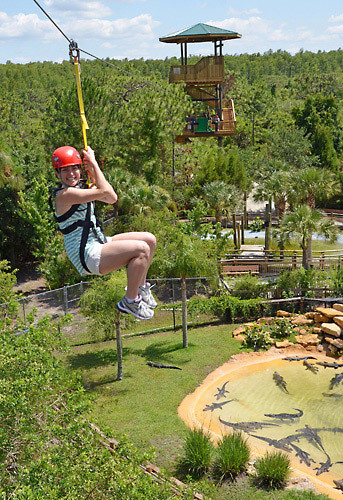 This convenient combo deal lets guests enjoy all-day admission to the iconic Gatorland attraction plus access to the on-site Screamin’ Gator Zip Line—an all-new attraction towering at 65 feet in the air. 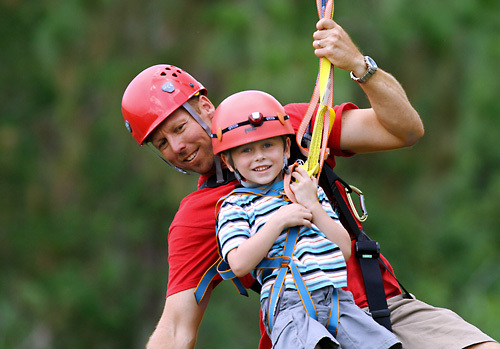 Guests can take part in a two-hour zip line experience that begins with a safety and orientation session and ends with soaring over the park’s dozens of massive gators and crocodiles. 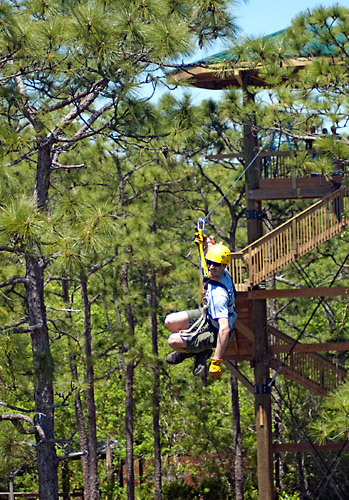 Soar through five thrilling ziplines. Launch from heights of up to 65 feet. Fly at speeds near 30 miles per hour over alligators and crocodiles. 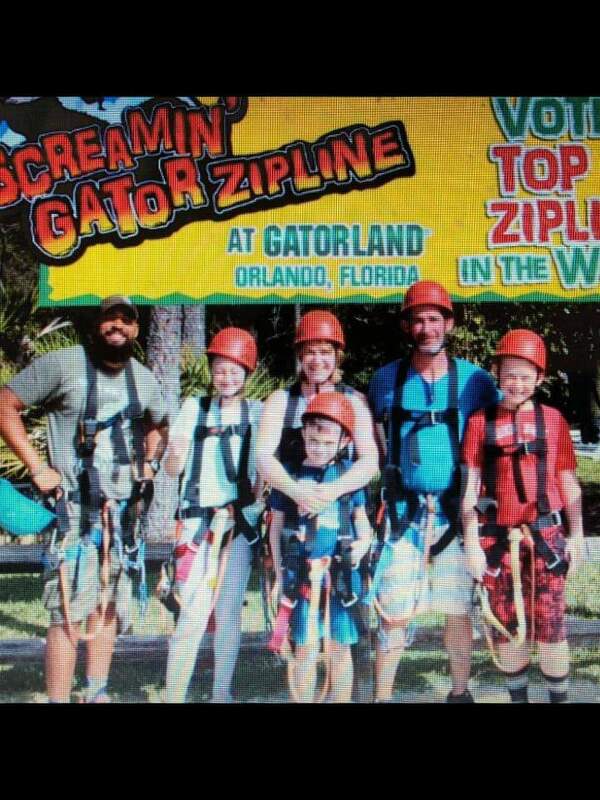 Free admission to Gatorland all day with purchase of the Zip line. No short shorts or skirts allowed. Equipment (helmet, gloves and harness) provided. Participants must be at least 37" tall. Soar through the air and defy gravity over some of the theme park’s star attractions, including Cuban and Nile crocodiles, before heading over the Alligator Breeding Marsh, complete with one hundred and thirty giant alligators watching from below! 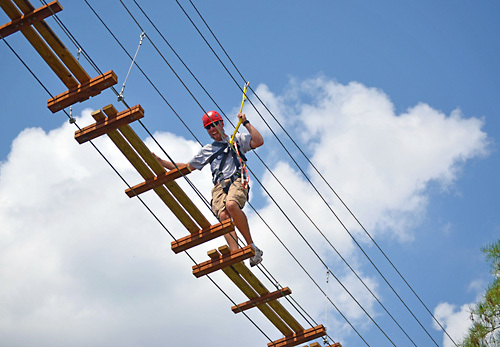 Participants must be at least 37" tall and weigh between 65 and 275 lbs., and must fit safely into the zip line harnesses (Guests may be required to weigh in at time of participation). Guests will be required to sign a Release, Liability Waiver, and Consent Agreement prior to their launch. Minors under the age of 18 MUST have a Liability Waiver and Consent Agreement executed and signed by a parent or natural guardian. 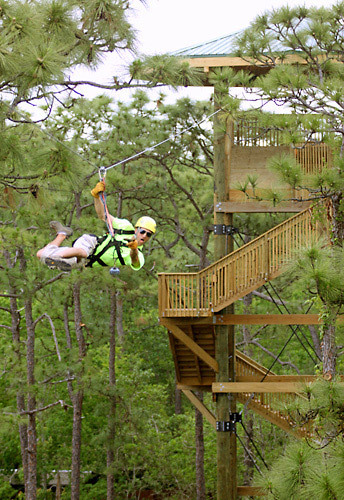 48-hour cancellation required for full refund on your zip line reservation. If you need to change your launch date or time, please contact Gatorland a minimum of 24 hours prior to your scheduled launch to reschedule. If your launch is canceled due to inclement weather, a rain check will be issued for a future launch within one year from the date of your originally scheduled visit. This incredibly entertaining and educating 2-hour experience begins with a brief safety and orientation session. 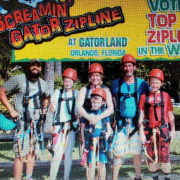 The best part is the low price of $61.24 includes all day admission to Gatorland, The Alligator Capital of the World. A phone number will be listed on your E-ticket to set-up a zip time prior to arrival. Yes, it is recommended that your ticket be purchased 24 hrs prior. 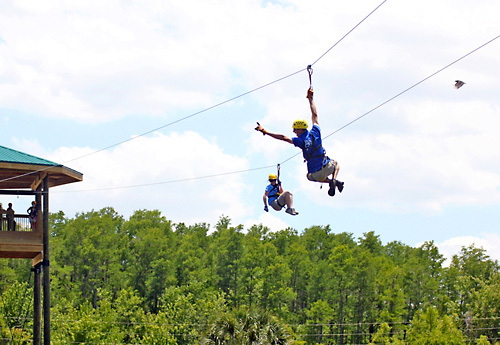 Your e-ticket will include a phone number that you will call to set up your scheduled zipline. 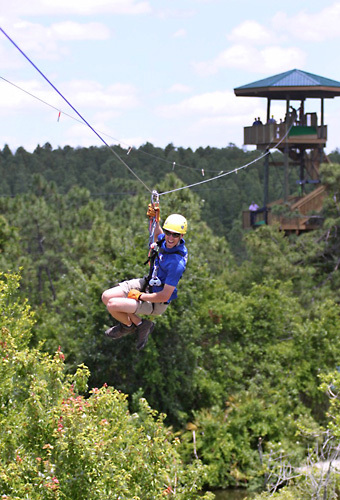 Are there any height or weight restrictions for the zipline? 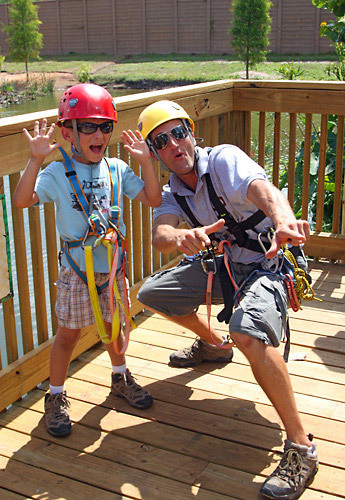 Participants must be at least 37" tall and weigh between 65 and 275 lbs and fit safely into the harnesses. Can I take my camera on the zipline? No, for your safety and the park guests below, loose items such as cameras are not allowed. What happens if my tour is canceled due to weather? If your launch is canceled due to inclement weather, a rain check will be issued for a future launch within one year from the date of your originally scheduled visit.